Refer friends and Win a lot of products absolutely free- Shersingh is one of the leading online website in field of apparel. It sells the best quality of apparel and accessories at competetive. 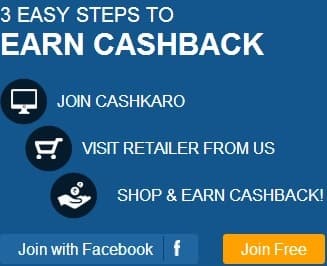 Currently shersingh is running a competition where you can win many prizes by just referring friends.This is a nice program where you just have to tell your friends to join shersingh and you can get free product of your choice. 1.Click here to visit shersingh homepage and register on shersingh website. Please confirm your mobile number. 4.You just need to copy this link and publish on your FB page or blog or any other advertisement medium so that other peoples can join through this link which in turn will increase your referral count and Other options to directly invite Gmail, Facebook, Yahoo friends is also there. You can use this option too. Sometimes, it's better to give AND receive- Join us and get 33% off your next purchase. (It's ok to receive, because you'll be giving too!) Just invite your friends, and every friend who joins also gets 33% off. Win ANY item of your choice- Just get 5 of your family members or friends to join and you will win a free Sher Singh item of your choice! Why is it called The Sher Singh Century Club?- Everyone who gets 100 or more friends to join will be attending a very special, private dinner party with Zaheer Khan, Lisa Haydon and a few of their celebrity friends. Hit a century and participate in this star-studded event! And the person who gets the most friends to join- Will win a trip for 2 to New York City, stay at the luxurious Dream Hotel for 1 whole week, get custom fitted at our Sher Singh NYC boutique store. Join the Sher Singh Century Club and you might just win this Dream Vacation of a lifetime! Hurry and Join Shersingh referral program ASAP and win a lot of prizes. Note- This offer is expired.